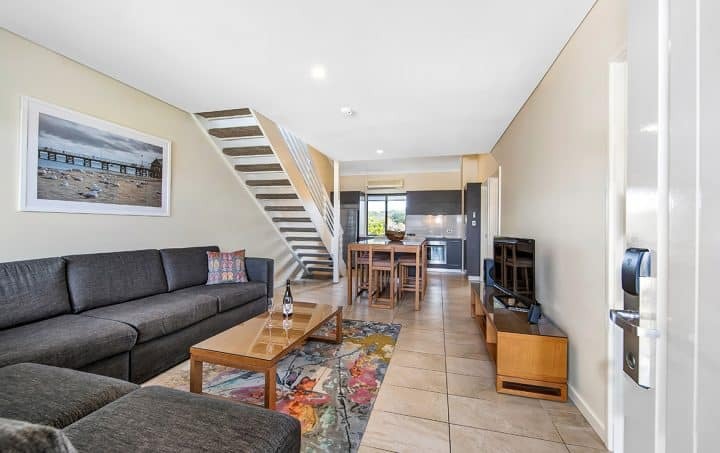 Nestled on the edge of Geographe Bay in Western Australia, The Sebel Busselton is located within close proximity to the seaside town of Busselton and offers the ultimate relaxing beachfront escape. 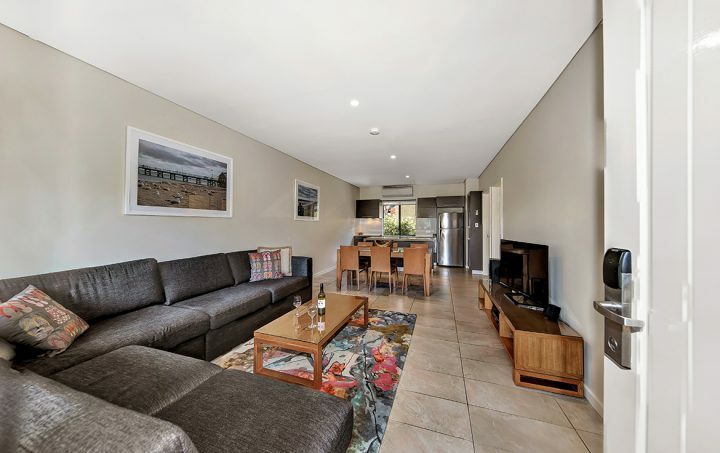 The Sebel Busselton offers a scenic, relaxed getaway for families and couples alike. 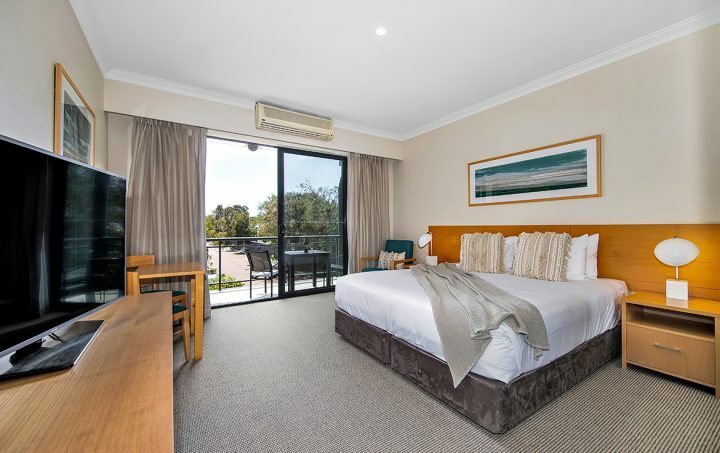 Positioned 2.5 hours south of Perth, the hotel is ideally located for guests wishing to enjoy the renowned wineries, restaurants and galleries of the Margaret River region and the swimming, snorkeling and diving opportunities at Geographe Bay. Along with modern self contained apartments, the hotel features a wide range of leisure facilities, from tennis courts through to a kids club. Reception: Open from 7:00am – 8:00pm. Internet Access: There are 2 computer stations located at Reception for free internet browsing. Alternatively WI FI access is available in all guest rooms, charges may apply. The Resort: Two tennis courts, two squash courts, heated indoor spa, heated indoor pool, outdoor pool (not heated), gymnasium, walking, jogging and cycling paths. 232km south of Perth or approximately a three hour drive. Busselton is situated on the west coast of Australia’s South West tourist region. It faces north-west to the Indian Ocean and is on the shores of Geographe Bay. Information on bus and coach transport in and around the region is available at South West Coach Lines on (08) 9754 1666. Train information is available at Transwa on 1300 662 205. One complimentary private car park per apartment. Located on the ground or first floor, the stylish Studio Apartment features zip king bed, kitchenette with microwave, toaster, tea and coffee making facilities (no oven or stove tops), bathroom (separate shower and spa bath), reverse cycle air-conditioning, DVD player, and in-house movies (charges apply). The modern self-contained Two Bedroom Apartment features one king and two single beds, full kitchen (with oven and stove tops), laundry, ensuite bathroom off master bedroom (separate shower and bath – not a spa bath), 2nd bathroom (shower only), living/dining area, reverse cycle air-conditioning, LCD TV with DVD player and in-house movies (charges apply). Ideal for families, the Three Bedroom Apartment features one king bed and four single beds, full kitchen (with oven and stove tops), laundry, ensuite bathroom off master bedroom (separate shower and bath – not a spa bath), 2nd bathroom (shower only), living/dining area, reverse cycle air-conditioning, LCD TV with DVD player and in-house movies (charges apply). Cots and highchairs available on request (charges apply).